Welcome to Guardian Garage Floors’ official blog page! We are excited to help you with your garage flooring needs and more. We offer residential and commercial flooring services and are highly experienced in installing top-notch flooring solutions. When it comes to choosing the right flooring for your home or business, the Guardian Garage Floors team will always be here to listen to you, recommending the best options for your needs. What Sets Our Flooring Technology Apart From Other Options? The exclusive Guardian Garage Floors System looks and performs better than epoxy and garage floor painting products. Compared to standard epoxy floor coverings available today, our flooring system is built with higher-quality materials. Composed of a proprietary blend of polyurea and polyaspartic materials, the Guardian Garage Floors System is five times more resilient and 20 times stronger than epoxy. In addition to offering superior products, we take pride in being a cost-competitive company, maintaining low overheads to give you a top-quality product at a reasonable cost. You can rest easy knowing your Guardian Garage Floors will retain its beauty for life. With ultra-low levels of volatile organic compounds (VOCs), it’s guaranteed not to harm the environment. Our product is ideal for garage floors, but it also has many other applications, such as in industrial workspaces, school bathrooms or animal hospitals. 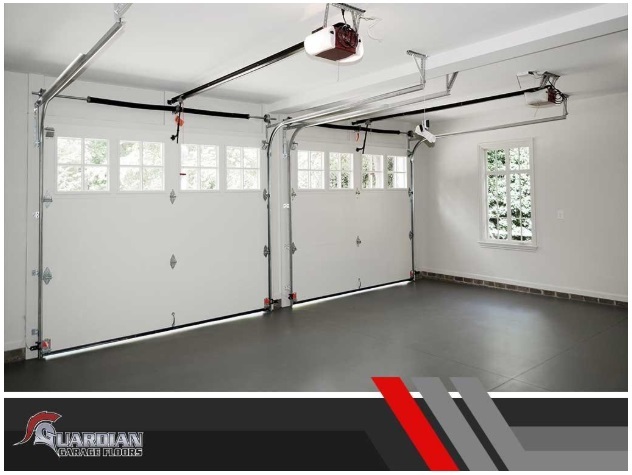 As your premier provider of the highest-quality polyaspartic floor coating systems in Middle Tennessee, Guardian Garage Floors values your utmost satisfaction over anything else. We are licensed, bonded and insured, and we are accredited with an A-plus rating from the Better Business Bureau , making us your top choice for all your flooring needs. We understand that installation quality is just as important as product quality, which is why we employ highly trained flooring specialists and don’t subcontract. This allows us to ensure the highest level of craftsmanship. Because we are so confident in the quality of our products and workmanship, we offer a lifetime warranty on our garage floors and labor. We can complete your project in as little as one day, thanks to the proven skills and expertise of our team! (GA) today! We serve Nashville, TN, Rome, GA, and the surrounding communities. This entry was posted in Commercial Flooring, Home Improvement, Residential Flooring and tagged flooring, garage floor, options.